Today’s episode is a slightly shorter interview with the Poll Bludger, William Bowe, where we run through the results of the by-elections and what they might mean. The by-elections last night ended up being quite clear and not particularly close in the end. I’ve put together a few maps to highlight some interesting elements. This first map shows Longman. You can toggle between three different results layers: the 2PP vote, the 2PP swing to Labor, and the swing to One Nation. 6:00 – Polls have just closed in the state by-election in the Western Australian seat of Darling Range. I expect we’ll start to see results in about half an hour. I’ll be running a booth-matching model tonight. For now the results tables are at the bottom but I’ll move them to the top once there is something useful within. In the meantime, why not take a read of my guide to this by-election? The Australian Electoral Commission released the final decisions for the Victorian federal redistribution earlier today. Most of the changes were very minor, with no seats experiencing a large change in margin. The switch of Dunkley from Liberal to notional Labor has been maintained. There has been a lot of discussion recently about the lack of representation of women in the Liberal Party, and it got me thinking about what sort of seats tend to be represented by women. Do they tend to hold safer seats, or more marginal seats? I recently noticed that most coalition women hold marginal seats, in the context of Jane Prentice and Ann Sudmalis facing preselection threats. 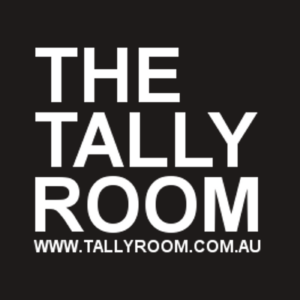 I’ve just added two more datasets to the Tally Room data repository. My estimate at the end of Saturday night was that the Liberal Party had won 13 seats, Labor 8 and the Greens one, with three seats still in play: in Bass, Braddon and Franklin. 6:00pm – Polls have just closed in the Tasmanian state election. I will drop in occasionally with commentary here, as well as contributing to the Guardian liveblog.